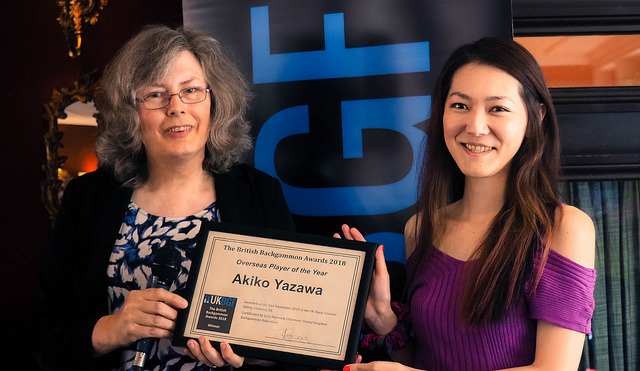 Akiko was already a very popular choice amongst members before she became the first woman and only the fourth player to win the World Championship in Monte Carlo on more than one occasion – in front of an audience of 1000+ on the live stream. She has yet again been voted in the top ten of the Giants list and we were honoured to have her as a special guest in the UK this month at both the UK Open and Brighton Summer Open. Ever-popular among members and with a reputation for quality, Geoffrey Parker boards remain distinctive, with an enlarged range this year. 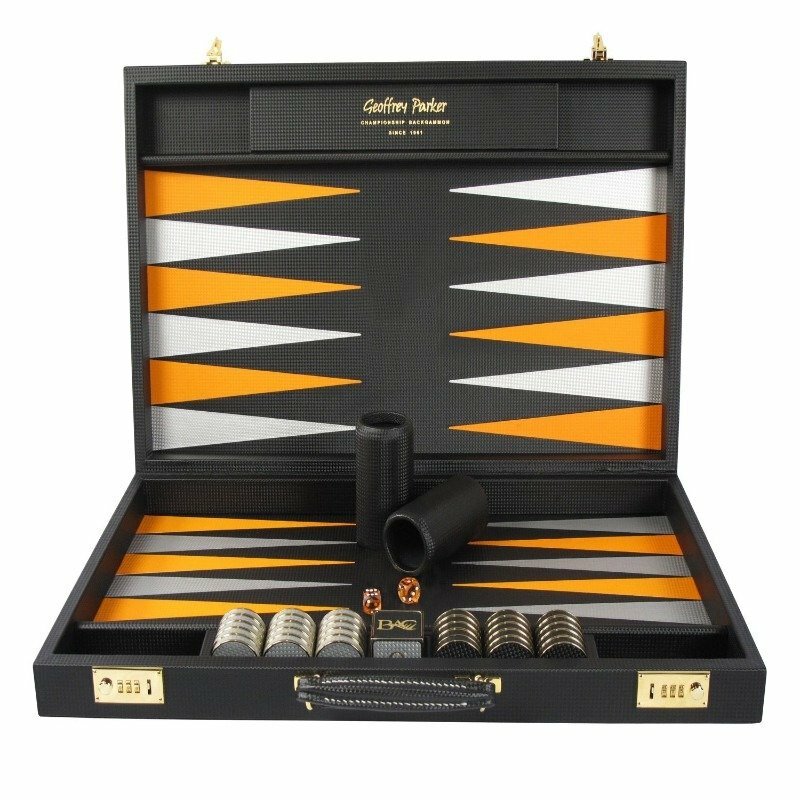 Geoffrey Parker have also been very generous as sponsors, with board vouchers as prizes for the UK Open and other events, and have regularly provided a board for our live streaming. 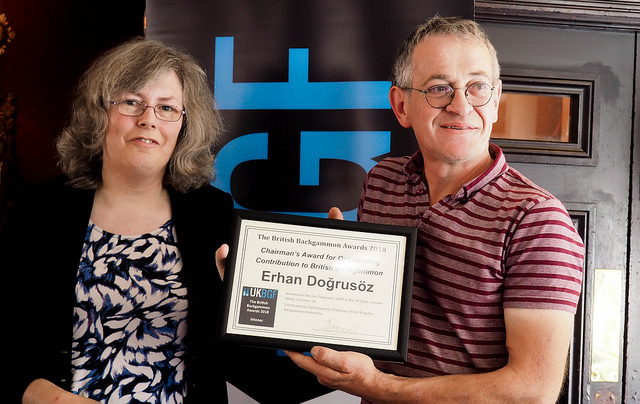 I picked Erhan for our special award this year – he’s always done well in the Board Designer category and has a very loyal following for his very personal and good value boards. He’s made custom inlays to UKBGF and BMAB designs for our stock of Hector Saxe boards to give them a new lease of life. He’s also supported a lot of UK tournaments and helped raise significant sums for UK charities by providing boards as prizes, such as the one below supporting MIND which was played for at Blackpool. I’m delighted to be able to give Erhan the recognition he deserves. Well, that was awkward, having to sign my own certificate! I may not be likely to challenge for a player of the year title, but it’s been a pleasure writing about the game, keeping in touch with and promoting loads of local clubs, TDing smaller events and online, and picking up other jobs behind the scenes. I keep promising that I’ll spend more time studying and playing in future and I really mean it for 2019! Someone said to me before the UK Open that this was a “prize for good losers”. Well, Lawrence certainly doesn’t fit that title, as he’s been on the winning end of all of my encounters – indeed a run all the way to 3rd place at Monte Carlo this year proves his status as a leading UK player – as well as being a pleasure to be sat opposite. 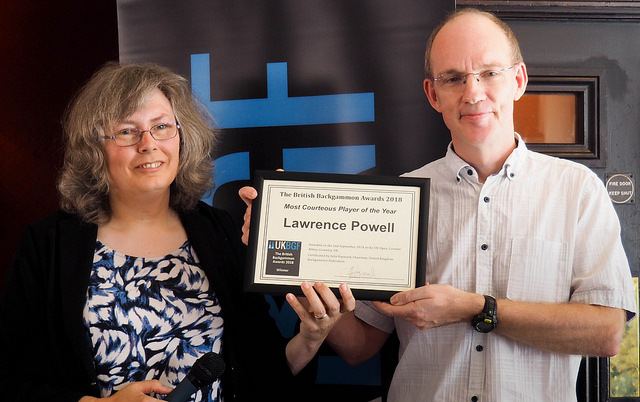 Not voted for but awarded to the person who’s made the biggest climb through the UKBGF ratings this year… Laurence has had a really successful year progressing from the mid 1450s up to 1619, as you can see from the graph. Laurence has also been very busy with the Amersham club, and judging by their performance at the Clubs Championships this year we could be seeing one of his proteges picking up this award in future! 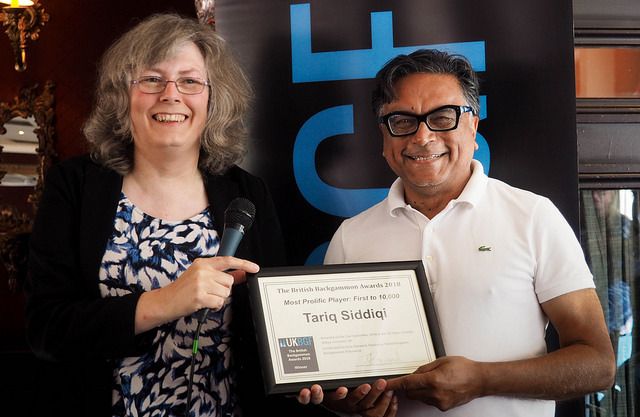 Is there anywhere in the south-east that Tariq doesn’t play? He’s been way out in front of everyone in terms of sheer numbers of rated games played, and earlier this year reached the awesome milestone of 10,000 experience, nearly 1,500 ahead of of his nearest rival at the time. We couldn’t let that achievement go unrecognised. 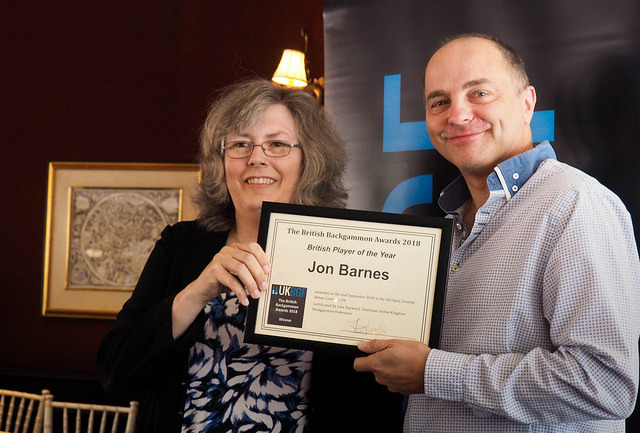 Many thanks to everyone who took the time to nominate people, and to vote. 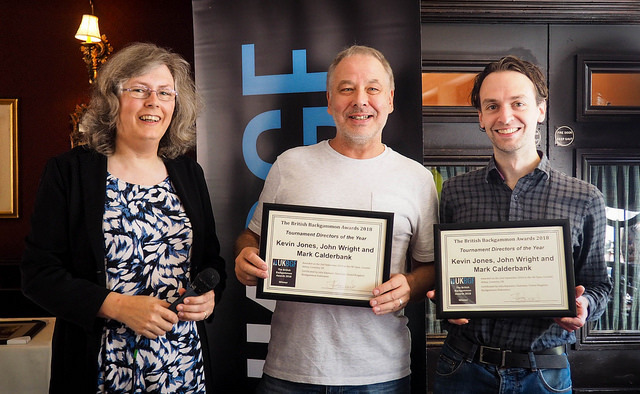 All our nominees have made a real difference to British backgammon and we owe them all a debt of gratitude – the game would be much the worse without them all.